Traditional witchcraft has a strong connection to the earth with an intimate knowledge of herbs, plants and the elements – as well as the human body. As gatekeepers to altered consciousness witches have been both feared and sought out for their dealings with the unknown. 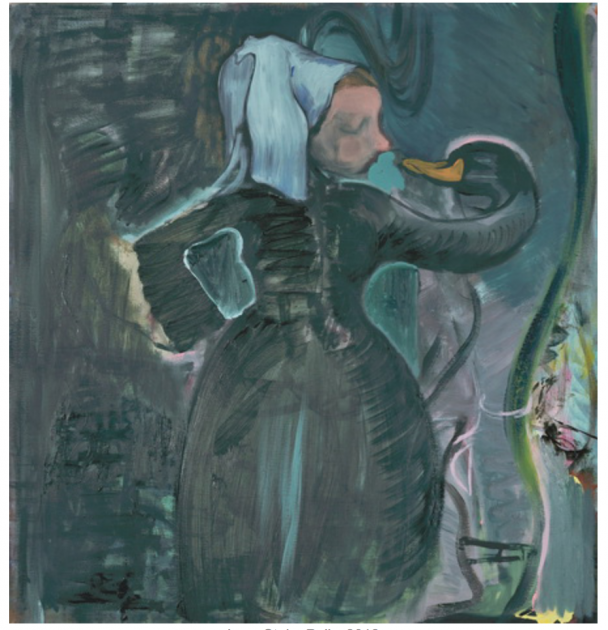 Historically persecuted as an outsider, the witch has been taken on by artists as a challenging force to prevailing norms and as a symbol of dissidence. 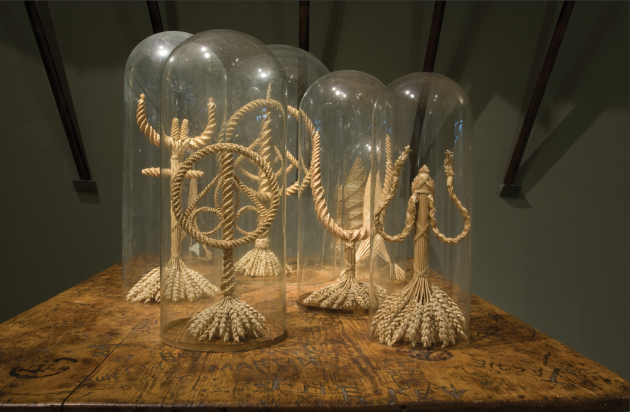 Looking to symbols, tools and the coven as a space for focusing collective intent, the artists in this exhibition explore the path of the witch as one for how we can connect with the earth and each other. Be part of the Jug Choir! Take part in a series of singing and musical workshops with acclaimed young contemporary artist Serena Korda, and perform as part of her Jug Choir in the gallery on 23 February. No experience or ability is necessary, just the willingness to use one of Serena’s jug sculptures as an instrument! If you would like to be part of Serena’s Jug Choir click here for further details and to register. Serena Korda – Jug Choir: The Hosts: Ectoplasmic Variations – Performance in the gallery 2:30pm Free. The Waking the Witch exhibition tour is accompanied by a specially designed website featuring an interactive map designed by artist Ben Jeans Houghton and podcast produced by Blue Firth. Verity Birt, Anna Bunting Branch, Nadine Byrne, Mary Beth Edelson, Fiona Finnegan, Blue Firth, Fourthland, Georgia Horgan. Ben Jeans Houghton, Serena Korda, Candice Lin, Katarzyna Majak, Lucy Stein, Ayesha Tan Jones and Cathy Ward.